Back in May 2017, the Interactive Advertising Bureau Tech Lab (IAB) released a solution for ad buyers to prevent unauthorized selling of publisher’s inventory in the form of a tool called ads.txt. The method allows publishers to state which companies are approved to sell their website ad inventory. Not only can publishers adopt ads.txt, but exchanges and networks can also declare that they are authorized to sell certain inventory. Ads.txt or ‘Authorized Digital Sellers’ is a text file which can be publicly accessed and records a list of “authorized digital sellers for publisher inventory that programmatic buyers can index and reference” when they want to buy ad inventory from legitimate sellers. The secure file is “posted to a domain by a publisher’s webmaster” and allows buyers to verify that sellers are authorized. The publisher’s seller ID will be displayed within the ads.txt file and a buyer can verify the ID when they receive an ad request. 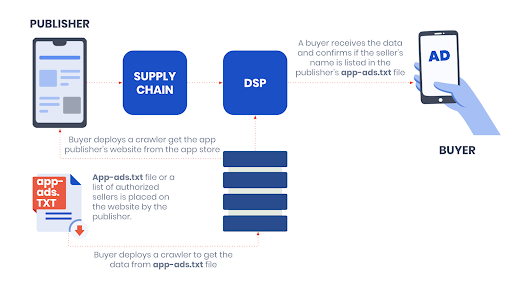 IAB’s crawler technology allows buyers to check the ads.txt files very quickly from seller’s websites. Before the ads.txt solution was introduced, buyers needed to contact publishers directly to confirm the connection. Ads.txt helps to prevent counterfeit inventory from being sold in the advertising sphere and increases much-needed transparency in the programmatic supply chain. Pixalate’s Q3 2018 report showed that sites which had implemented ads.txt saw 22% lower ad fraud in one year after adopting the text file and a massive 77% of the top 5000 sites now have ads.txt. Fast forward to November 2018 and the IAB Tech Lab release a beta version of in-app ads.txt, which extends from the original app.txt solution but is now available for mobile applications. 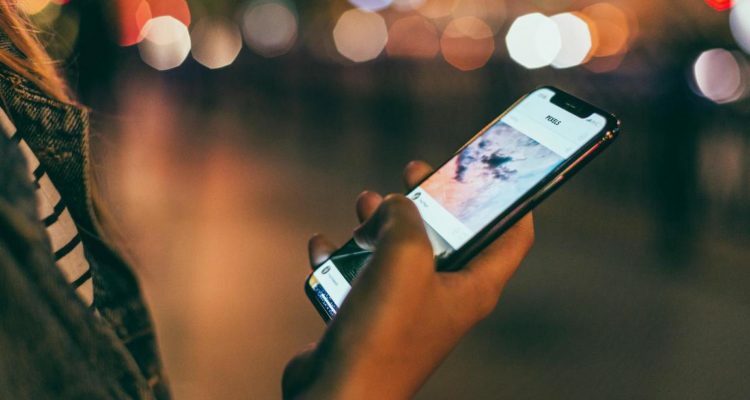 Until February 4th, app-ads.txt will be available for public comment and will allow for more transparency in ad transactions within mobile apps. The text file also “extends to over-the-top apps, where ad fraud is already starting to ramp up”. The app-ads.txt list will contain names and ID codes for companies who are authorized to sell that application’s ad inventory, similar to the way ads.txt functions. Senior VP and General Manager of IAB Tech Lab Dennis Buchheim insists that the beta release “addresses an important gap in eradicating fraudulent inventory”. While the release may have taken longer than expected, “the solution will not only support ads.txt but will also support other supply chain safety initiatives, such as ads.cert.” Find out more about ads.cert here. The adoption of ads.txt increased over 7.1x Year-over-Year from Q4 2017 to Q3 2018 and app-ads.txt looks like it will have the same success. Many advertisers have already been giving our team feedback that budget allocation will strongly depend on transparency and will be mainly distributed to SSPs that are listed on publisher’s domains as approved sellers of their inventory. App publishers can see how to implement app-ads.txt here. 2018 was a big year for PubNative in the battle against ad fraud and we’re excited for the widespread release of app-ads.txt so we can continue to provide our clients with the most transparent platform for mobile ad transactions. Any questions on how to adopt app-ads.txt? Send us an email to info@pubnative.net or contact your PubNative Account Manager.